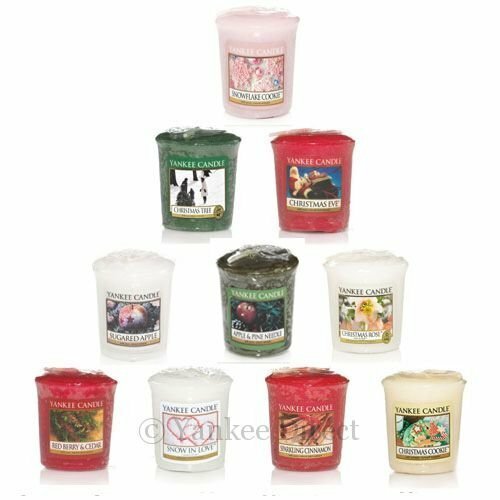 Includes 10 Christmas Holiday Votives of popular scents. Free bonus votive holder and gift tag! Styles may vary. Includes 10 Christmas Holiday Votives of popular scents. Free bonus votive holder and holiday gift tag! Includes FREE gift message. Gift wrap available upon request.